Grain of Hope exists to provide sustainable solutions to help relieve poverty worldwide and to connect people with global response efforts. We accomplish our mission by investing into ideas and projects that bring sustainability and education through on relief, development, training and equipping. Today, we are working in Burkina Faso, El Salvador, Haiti, the Dominican Republic, and Costa Rica. There are many ways that you can support our relief efforts: by hosting a local event, making financial donations, joining international trips to be part of a project team, and by volunteering as a short or long-term intern. 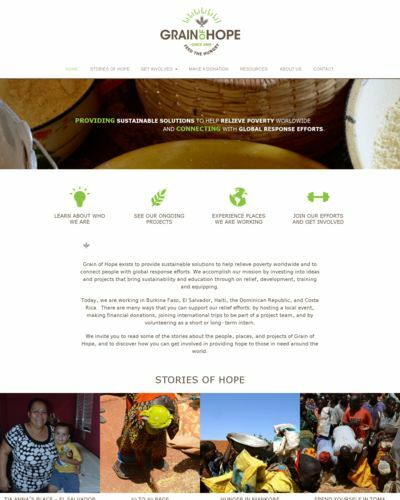 We invite you to read some of the stories about the people, places, and projects of Grain of Hope, and to discover how you can get involved in providing hope to those in need around the world.